"If I had to pick a first rule of communication - the practice above all others that opens the door to connection with others - it would be to look for common ground." By reading and practicing what is contained in this book, connecting is a skill you can learn and utilize in all your relationships – familial, personal, and professional. "When I want to really get to know someone, I ask three questions. What do you dream about? What do you sing about? What do you cry about?" Just like cultivating a garden, there are techniques the author offers to develop a common ground mindset in our communication. Carelessly throwing some vegetable seeds on the untilled surface of my backyard will not yield the healthful contents for my family’s salad bowl. It takes time and effort to break up the ground, to arrange the various seeds or seedlings, to guard against weeds and pests, to water when there is no rain, to prune for increased yield. In the same way, connection through communication does not materialize out of thin air. We must be willing to show up and choose to spend time with others. In the gardening world, the natural “green thumbs” seem to go about the growing business with relative ease and to know intuitively how to go about it. For those endowed with other colored thumbs, it may require more sweat equity and a concrete list of steps to follow to be able to garner a similar yield. Fortunately, fruit will be there for harvesting at the end of the season. It is no different in the world of communication. Engaging with others seems to come naturally for extroverts. However, for those of us who are introverts, it will require some extra effort. Really listening is an important technique on our way to finding common ground with others. Asking questions and then really listening to the answers demonstrates our interest in others. The opposite of this is to assume we already know what others know, feel, and want, or worse yet, being arrogant or indifferent enough to think we don’t need or care to understand what others know, feel, or want. "Connecting is the ability to identify with people and relate to them in a way that increases your influence with them"
It is not enough just to work hard and to do a great job; you have to learn how to communicate with others in the marketplace. This has been a tough lesson for me to learn. I have usually defaulted to prioritizing tasks over relationships with coworkers. As I reflect back on my career, I wish I had learned and implemented this principle years ago. My career would undoubtedly be better today if I had nurtured and maintained relationships along the way. The ability to connect with others starts with understanding the value of people. Successful people care about people as well as the work they do. They view subordinates optimistically and seek advice from them. The good news is that connecting with others has more to do with skill than with natural talent. It is something anyone can learn and it is never too late. "While educators often take something simple and make it complicated, communicators take something complicated and make it simple"
In my position as a project manager for the Air Force, I present briefings on various subjects and projects. A rule that has worked well for me over the years is to constantly strive to simplify the complicated concepts and processes so I can make them accessible for the audience. I am not there to impress the people in the room but to transfer information and to help make things understandable. As a result of keeping things simple, I have been able to clearly communicate information and have been told several times that I was the best briefer during an event. I believe striving to help the audience understand the information is the reason for this positive feedback. It makes me feel fulfilled when I have successfully communicated and transferred information to the audience. 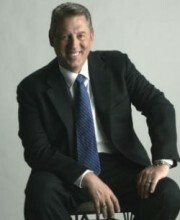 John Maxwell also recommends using humor, heart, hope and help when communicating with others. Humor is something that will make the audience laugh and put them in a receptive mood. Heart will captivate people’s emotions and get them engaged with your message. Hope will inspire the audience and move them toward an objective. Help is something that will assist the listener in some practical way as they listen and envision applying what you are sharing. How can you implement these four “h’s” in your next communication? As someone who desires to communicate well and to genuinely connect with others, I found this book very practical and helpful. 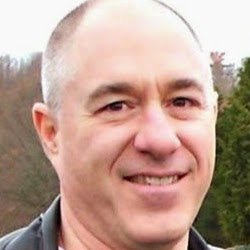 By finding common ground with others, keeping my communication simple, striving to create enjoyable and interesting experiences, and staying authentic in my communication, I am confident that I will no longer just communicate but truly connect with others. John closes this book with the story of Moses from the Bible. He points out that initially Moses was not good with people, he was not a good communicator, and he was not a good leader. Moses took what ability he had, developed it, and made the most of it. What can you and I do with the talent we already have and with what we can develop by implementing the principles above? Now go connect!